4-hour tour by an English speaking local guide will bring you lots of ideas for your free day. Our friendly, accommodating, and licensed guides will advise you about the landmarks, transportation, their own favorite local foods, or anything else you're interested in. Only the freshest seafood is delivered to the Outside Market and Central Wholesale Market, located right next to each other. 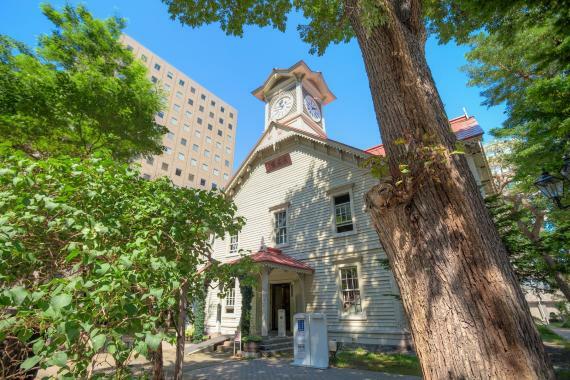 This lively area is known as “Sapporo's Kitchen". Great for shopping, and famous for its market restaurants. Fresh crabs, salmon, salmon roe, scallops, and assorted seafood rice bowls are very popular lunches served at a reasonable price! 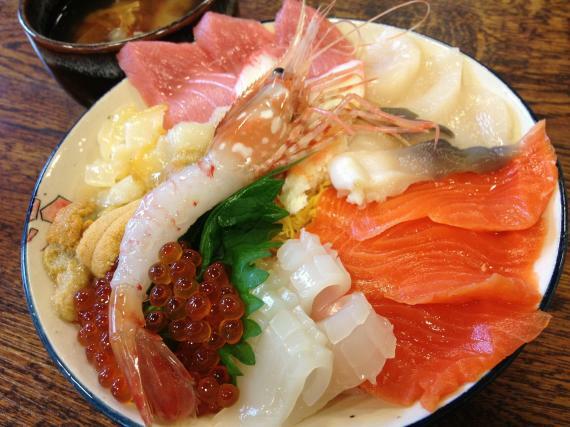 This is a must on your bucket list of things to eat in Sapporo City! Local call "Akarenga" which mean "Red Bricks". A colorful flower in summer and a snowman in winter welcome you to come. It's a popular spot to take photos in front of the flower gardens! 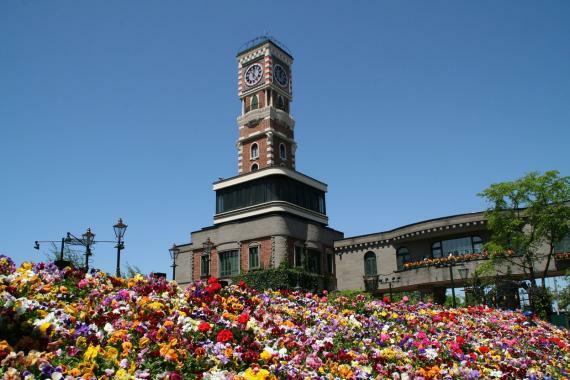 The Clock Tower is the symbolic building of Sapporo. The clock continues to run and keep time, and the chimes can be heard every hour. The Sapporo TV Tower is a landmark of Sapporo, is a 147.2 meters high TV tower with an observation floor 90 meters above the ground. It's a good location to see whole Odori Park and Sapporo city. The Odori Park is a downtown oasis stretching approximately 1.5 km from east to west in central Sapporo. 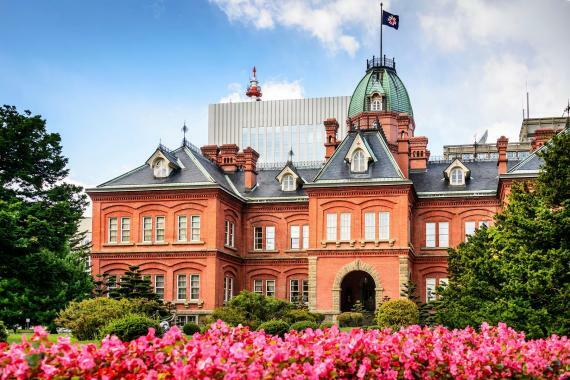 It hosts a variety of events; the Sapporo Snow Festival in February, the Lilac Festival in May, the Yosakoi Soran Festival in June, the Summer Festival with the Odori Summer Beer Garden, the Sapporo Autumn Fest, and the White Illumination event in winter. Let's taste Hokkaido corn of a specialty "corn wagon"! The itinerary can be adjusted to your pace or request. *Schedule and destinations may be changed due to the traffic or weather conditions. - Winter gear and snow boots with non-slippery soles for the icy roads in winter (Dec-Mar). - Rainwear or umbrella for the rainy day. *Credit Card Guarantee is required if your group has more than 5 people or you request to book a specific restaurant. - 4 hours is counted from the time confirmed in advance, not from the time you come up in the morning. 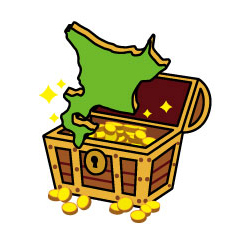 This program belongs to Hokkaido Treasure Island Travel. Visiting the landmarks with an English licensed guide by walk. He or she also advises about transportation, local foods, and or so for your Hokkaido stay. Make your day and prefer for your free day!